Order before 4pm for delivery from Tue. 23 Apr. 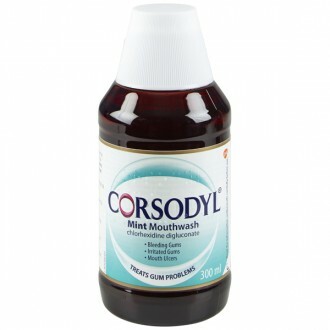 Corsodyl mouthwash mint is a specially designed treatment for oral ailments such as gum disease, helping to promote good all round oral hygiene. Because of its minty flavour, Corsodyl Mouthwash will leave your mouth feeling refreshed and revitalized. How can Corsodyl Mouthwash Mint help? 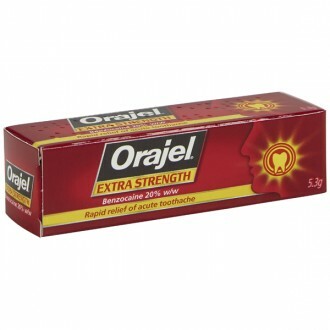 Protects the teeth against the build-up plaque. Improves healing rate of gums after oral surgery. 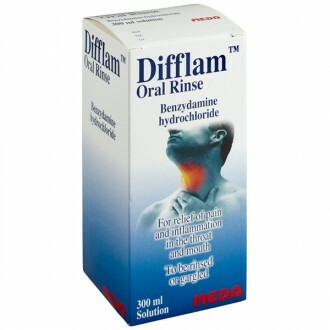 Helps to treat mouth ulcers and oral thrush. 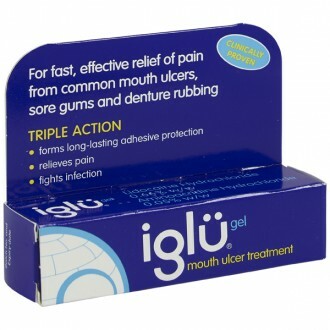 Decreases gum inflammation due to irritation. Like Corsodyl dental gel, Corsodyl mouthwash contains chlorhexidine as its active ingredient. Chlorhexidine acts as both a disinfectant and an antiseptic, helping to promote better oral hygiene. Chlorhexidine attacks problem micro-organisms within your mouth, preventing infections and other damaging conditions. Micro-organisms include bacterial spores, viruses, and fungi. Chlorhexidine also acts as a barrier against plaque build-up on teeth, helping to decrease the risk of gum disease. Corsodyl mouthwash is particularly useful for individuals that find brushing their teeth a problem, such as after a dental surgery. By thoroughly rinsing the mouth with Corsodyl mouthwash you will kill almost all dangerous micro-organisms present within your mouth. Simply use approximately 10ml of mouthwash for about a minute either once or twice a day. Brush your teeth as normally and then thoroughly rinse your mouth with water. After this use approximately 10ml of Corsodyl mouthwash and rinse your mouth for about a minute. This should be done twice a day. For gum disease, use Corsodyl treatment for up to 30 days. For oral thrush and mouth ulcers, keep using Corsodyl mouthwash for at least 2 days after symptoms have disappeared. For denture soars, soak your dentures in Corsodyl mouthwash for at least 15 minutes, twice a day. Prolonged tongue stinging (although this will usually disappear after treatment has been stopped). Teeth staining can occur although it can easily be removed by brushing or a scale and polish. A burning sensation when using Corsodyl mouthwash (this will usually dissipate after continued use). Peeling skin on the inside of the mouth (this can be avoided by diluting your mouthwash). If you have any worries or concerns then always speak with a certified health care professional. Do not use Corsodyl mint is you have ever had an allergic reaction any of the ingredients listed above. Do not give to children under the age of 12 unless you have spoken to your dentist. Only use Corsodyl mouthwash in your mouth. If you accidentally get any mouthwash in your eyes or ears, rinse immediately. Always read the packaging and accompanying labels for in depth product information. If you have any doubts, consult with your doctor or dentist before using any product. Does Corsodyl mouthwash mint contain any alcohol? Yes, Corsodyl mouthwash mint and Corsodyl spray both contain 7% alcohol, while Corsodyl dental gel contains 4% alcohol. For those wishing to use an alcohol free mouthwash, you can use Corsodyl 0.2% mouthwash. Once open, how long will the bottle of mouthwash last? If you follow the instructions and store the mouthwash in the recommended conditions (below 25 degrees Celsius) then Corsodyl mouthwash will last until the expiry date, as indicated on the label. Corsodyl alcohol free mouthwash should be used within the first three months of opening. Is it true that Corsodyl and its associated products cause staining of the teeth? Corsodyl can temporarily stain your teeth. This is why it is suggested that you do not consume tea, coffee, or red wine immediately before or after use. The reason for this is that these drinks contain tannins, compounds which react with the mouthwash, discolouring the teeth and tongue. Usually brushing is enough to remove the staining; however in the worst of cases a scale and polish will do the job. In order to minimize potential staining consider replacing tea, coffee, and cola drinks with herbal tea or fruit juice. Smoking can also have a negative impact on teeth colouration. What should I know before using Corsodyl mouthwash mint? If you use some toothpaste within an hour of using Corsodyl mouthwash then it may not work properly. This can be avoided by brushing first and then thoroughly rinsing your mouth with water. Corsodyl toothpaste can used in conjunction with the mouthwash however as the two have been designed to work together. Can I use Corsodyl mouthwash to treat my children’s oral health problems? Corsodyl mouthwash can be used by anyone over the age of 12. If you wish to use Corsodyl products on children under 12 then it is recommended that you consult with your dentist. Does Corsodyl mouthwash contain triclosan? No, all Corsodyl products are triclosan free. What should I do if I accidently swallow some Corsodyl mouthwash? Corsodyl mouthwash should only be used to rinse the mouth, although swallowing some accidentally is unlikely to cause you any injury. How long should I use Corsodyl mouthwash for when treating my mouth ulcers? When using Corsodyl mouthwash to treat ulcers you should always continue to use it for at least two days after any symptoms have disappeared. This is to make sure that all micro-organisms have been killed, preventing the problem from returning. Corsodyl mouthwash works best when there are many problem areas to treat. Can Corsodyl mouthwash stain clothes? If any of your clothes come into contact with Corsodyl mouthwash you should avoid bleaching them as this can lead to brown stains developing. Can Corsodyl mouthwash cause the inside of my mouth to peel? If your mouth peels after using Corsodyl mouthwash then you should dilute it with equal parts water before use.